CADRE Program Fellows explore what it takes to build a successful career in STEM research and development. The 2015 CADRE Fellows represent diverse disciplines, areas of research, and home institutions. 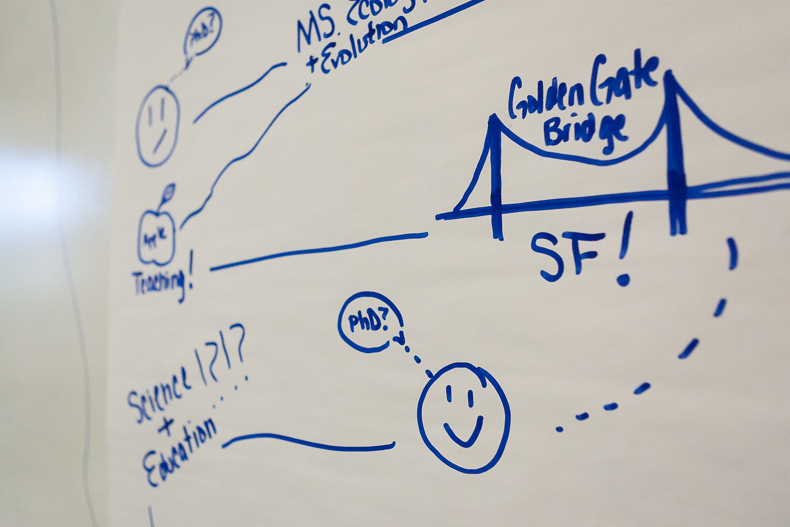 Since 2012, EDC has been helping early-career STEM education professionals chart a path to success through the CADRE Fellows Program, a competitive one-year fellowship designed for STEM education researchers and developers whose work is funded by the National Science Foundation (NSF). 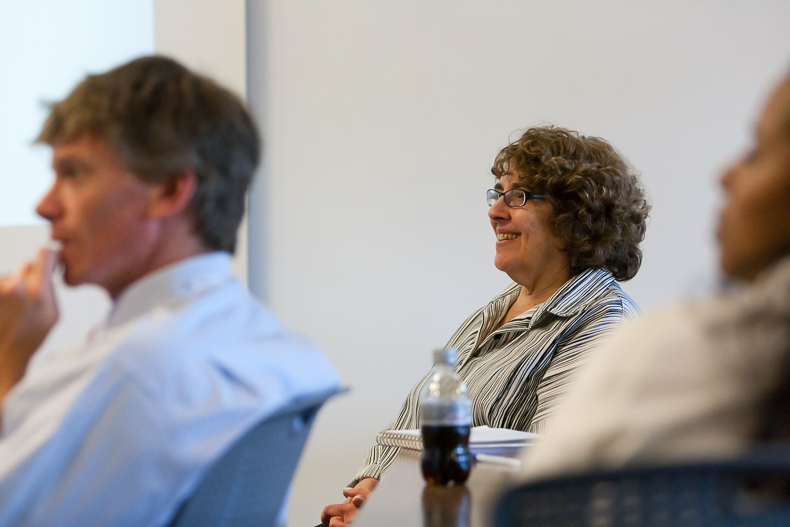 EDC's Barbara Berns, principal investigator (PI) of the CADRE program, recently welcomed the 2015 CADRE Fellows to EDC’s headquarters in Waltham. Over two intensive days, the Fellows discussed their research, networked with peers, and listened to experienced NSF-funded PIs discuss their own career trajectories. 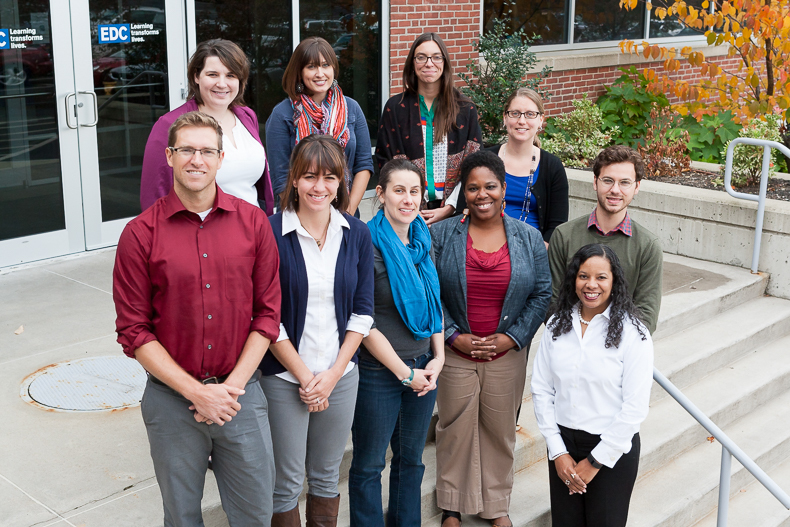 The 2015 CADRE Fellows represent diverse disciplines, areas of research, and home institutions. Fellows traveled from as far away as California to participate in the two-day event at EDC. CADRE Fellow Tonjua Freeman, a postdoctoral student at University of Central Florida, discusses her research on school-level factors that affect students’ science achievement. 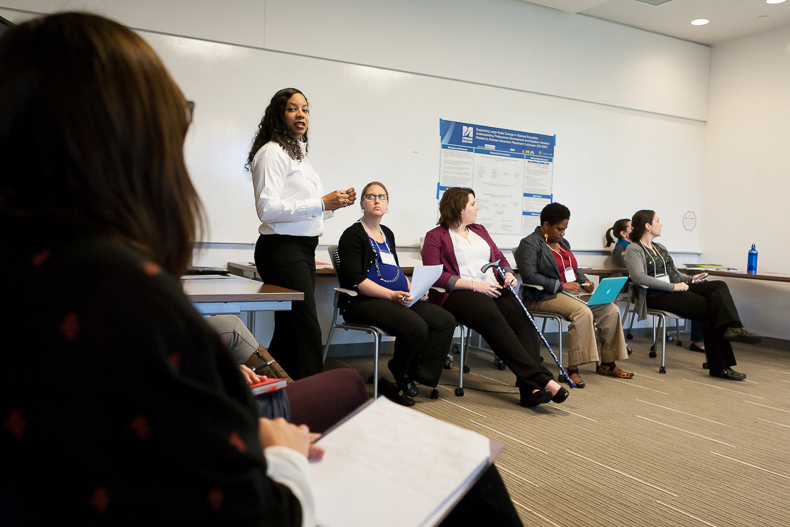 "The future of STEM education is largely in the hands of these early-career researchers and developers," says EDC’s Barbara Berns, principal investigator of the CADRE Network. "The entire field benefits if we offer them opportunities for growth and professional development." Many of the CADRE Fellows took circuitous paths before becoming STEM researchers. During one activity, the Fellows charted their journeys. 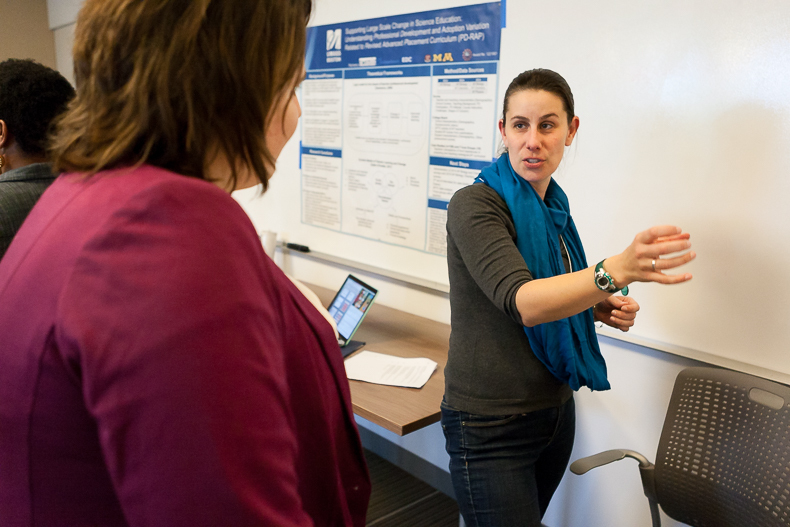 Annick Rougee, a doctoral candidate at the University of Michigan, explains her research into how mathematics teachers use student thinking during instruction. "Research has shown that this is very difficult for teacher to do," she says. "I’m very interested in learning how teachers think in the moment."